A Bourbon-kind-of-take on the classic Cosmo. Add all ingredients into shaker tin with Bourbon and mix. 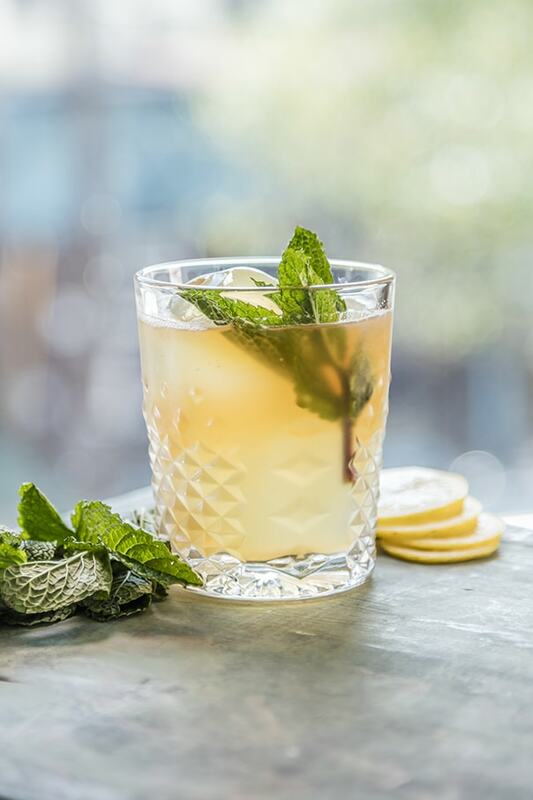 Pour into glass and garnish with mint.